You might be amazed to hear that one of the silent barriers to improving healthcare quality and patient safety is a simple belief. I contend that, often, our beliefs determine the facts we see and accept. Whether you agree or not, here's one strong belief that represents a barrier to quality improvement in healthcare: hospitals make money by taking care of complications. There it is. I said it. And guess what...some healthcare colleagues believe that wholeheartedly. Some feel that hospitals do better financially by giving more and more care to patients who experience a poor quality outcome of some system. And, on the face of it, it makes sense. If someone needs more and more care owing to a less-than-optimal outcome, well, we are reimbursed for more and more encounters. It's a volume of care mentality. Volume yields reimbursement. Here, however, is the issue: the belief that hospitals make money from complications results in a failure to understand the Cost of Poor Quality (COPQ). The COPQ is a number that lurks behind all of the numbers on our P&L statement. It's often not seen, and, I contend, that's part of why it isn't always managed. Take a look at what the COPQ is (here) and then come back to finish up this entry. The issue, simply, is that we see on our P&L items like net revenue but we DON'T see items that lurk behind, and influence, our system's profitability. Costs like surveillance, internal failures, external failures, and lost opportunities are not captured by typical metrics. So who can blame staff when they don't manage to endpoints that aren't easily seen on the four fundamental accounting statements? In fact, it turns out that the highest quality care is often the least expensive...not to mention the better. Even the most straightforward quality projects typically recover $300,000 or more of the Costs of (formerly) Poor Quality. How do I know? Well, experience for one: when I've helped teams complete projects we repeatedly see higher quality and better outcomes associated with significantly less expense. And what happens to patient and procedure volume? In systems that improve quality, we often see increased volume because it becomes easier to do the right thing in a system that supports routine excellence. The bottom line: one belief that still persists in acute healthcare arenas is that entities make money by taking care of fallout from errors instead of preventing them. In fact, what's often missed is that there may be some increased revenue (featured on the P&L statement) and all the while the system hemorrhages from the less visible Cost of Poor Quality. It is this belief that the push to go from volume to value based reimbursement seeks to thwart. 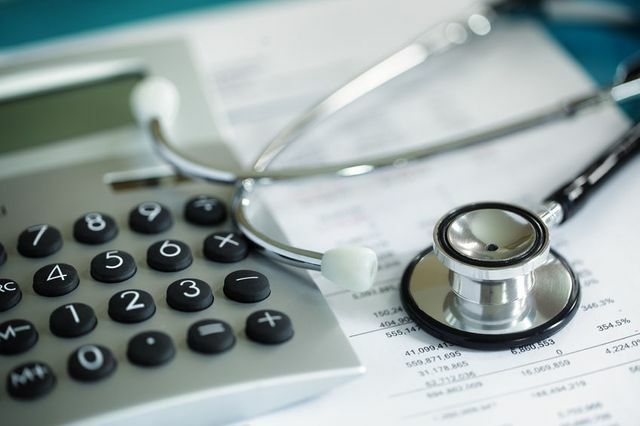 Click on the link below for one of the many articles that describes the flawed view of volume, complications, and reimbursement. As usual, remember: if if the financial case weren't favorable, and even if reimbursement was lower, it would still make sense to focus on improving patient safety, quality, and value because it's just the right thing to do. Quite shocked at how vulnerable healthcare is to patient harm attack vectors. Thanks @SecurityTed for your insight.